WithOnePlanet climate change education supports teaching about environmental sustainability, awareness of culture and active citizenship. 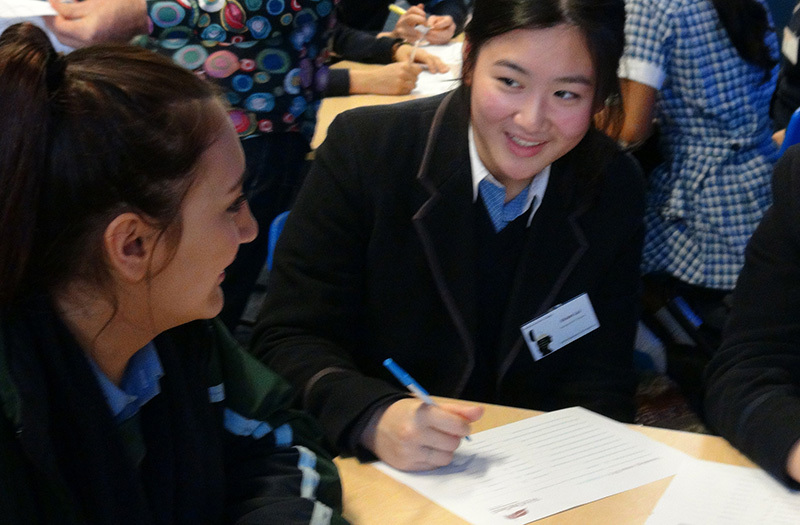 It also promotes linking school communities in Australia and Timor Leste. WithOnePlanet’s online resources are aligned with the Australian Curriculum for Years Foundation to 10 and coordinated for whole-school integration across multiple subject areas. 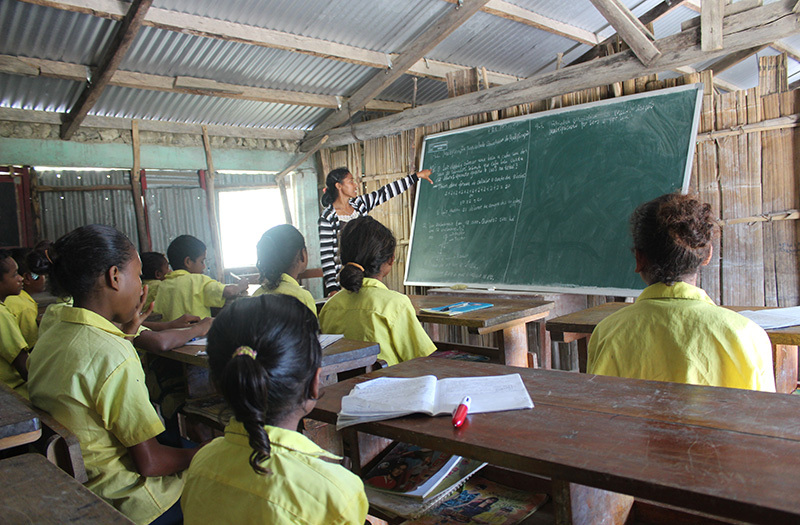 to encourage school communities from Australia to connect with village-based schools in Timor Leste, to establish collaborative learning and to support each other through educational and awareness raising programs. It is vital to the region’s development that strong bonds and understanding are nurtured through the next generation. 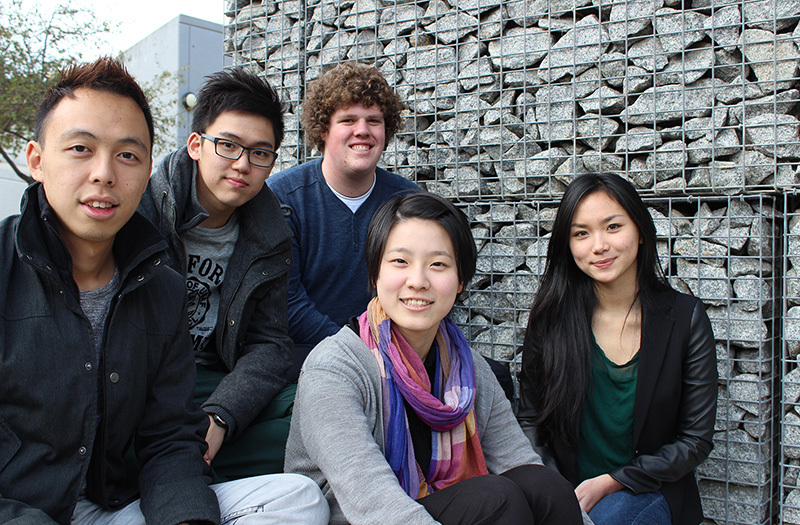 WithOnePlanet is building knowledge to enable Australian students to learn about the bigger climate picture, how to live more viably, how to understand their roles and responsibilities as global citizens and how they can support our subsistence neighbours in the Asia-Pacific region. WithOnePlanet is helping vulnerable rural communities in Timor Leste to adapt to climate variability, build local capacity, boost education and training, and grow stronger, more resilient communities. WithOnePlanet’s program supports teaching and learning in schools in both Australia and Timor Leste by developing school-based programs focused on environmental sustainability, cultural awareness and active citizenship. 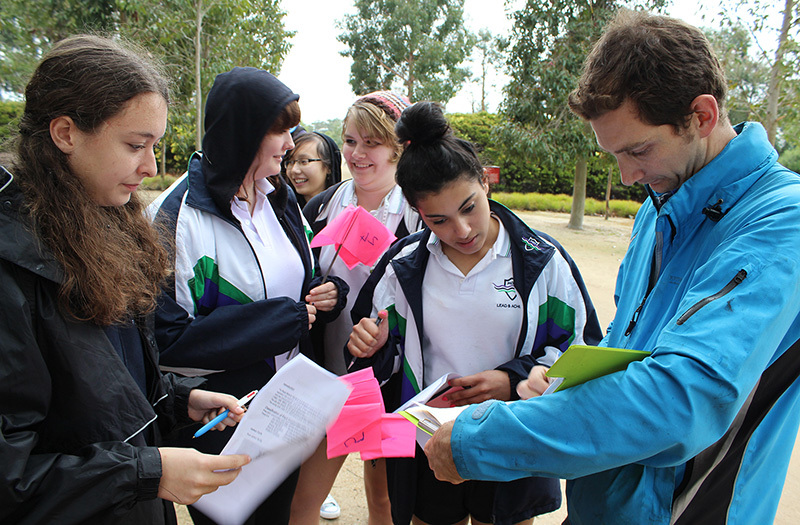 supporting and assisting students to understand the issues, history and context of our region as global citizens. The program uses technology as a prime tool for all activities in both Australia and Timor Leste. This will be achieved through this interactive e-learning portal where students and teachers can access a wide range of material relevant to the program. The use of an interactive online portal will provide the technological excitement that comes naturally to students and therefore encourages them to engage and learn more effectively. Interaction between Australian students and the students of a developing nation provides a practical and experiential education beyond theoretical knowledge. The involvement of the current generation of youth in both nations will increase awareness of the importance of a strong understanding of each country as a neighbour in the fastest growing economic region in the world today. It is, of course, vital that strong bonds and educational understanding be nurtured through the next generation. WithOnePlanet’s education resources have been developed with a focus on the three core elements of carbon (where we live), culture (who we are) and citizenship (how we live). 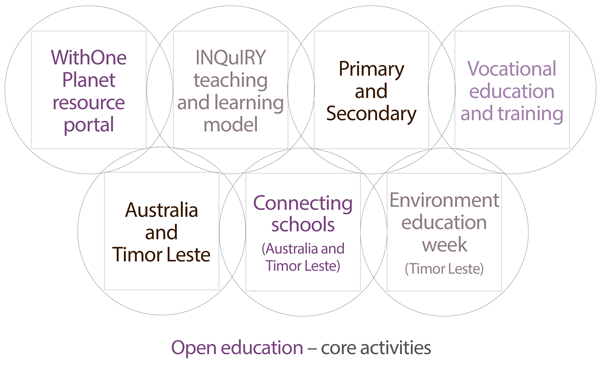 The materials, aligned with the Australian Curriculum for Years Foundation to 10, are provided for both formal and open education and training settings. 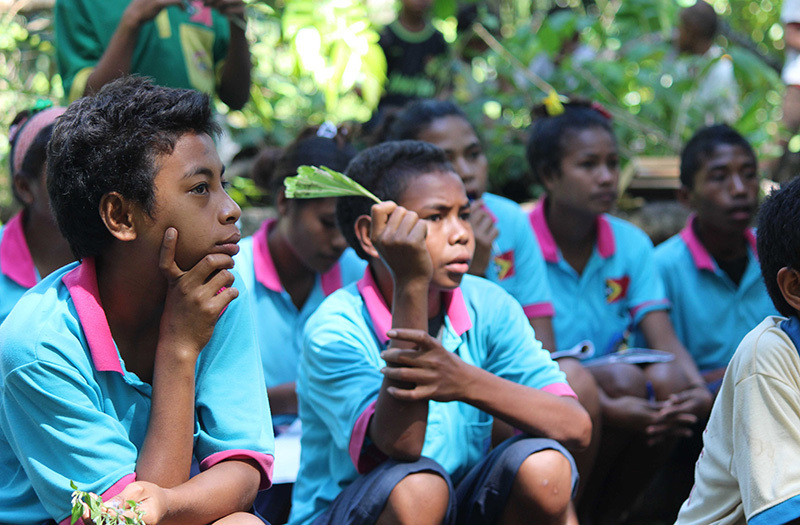 WithOnePlanet not only provides students with an insight into some of the impacts of climate change, but also provides students with a historical understanding of the significance of the Australia Timor Leste relationship. WithOnePlanet provides opportunities for Australian schools to connect and engage with school communities in Timor Leste and build mutually beneficial relationships. This engagement can be explored through technology and through student/teacher travel programs. Working together and sharing our differences environmentally and culturally will help to build an understanding of our rights and responsibilities as global citizens across the region. The WithOnePlanet INQuIRY teaching and learning method provides opportunities for teachers to engage students in single or cross-disciplinary areas of study, and explores climate change issues through the science, English, maths, geography, history, art, civics and citizenship curriculums. Students are encouraged to formulate lines of inquiry, to question and investigate, to review and share information and to build the knowledge to make our region a more interesting, sustainable and better place. WithOnePlanet’s library provides access to materials and resources to assist students and teachers undertake the program. 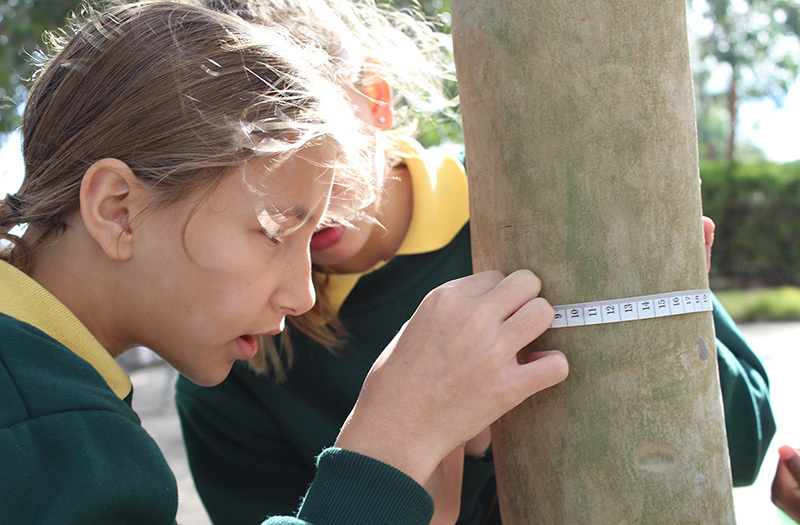 It includes links to all the resources referenced in the WithOnePlanet curriculum resources as well as resources from the Climate Council, Royal Botanic Gardens, Melbourne, Australian Agroforestry Foundation and the Climate Reality Project headed by Al Gore. WithOnePlanet, in partnership with a number of other organisations, delivers a range of extracurricular activities that can be undertaken or adapted to meet school requirements. 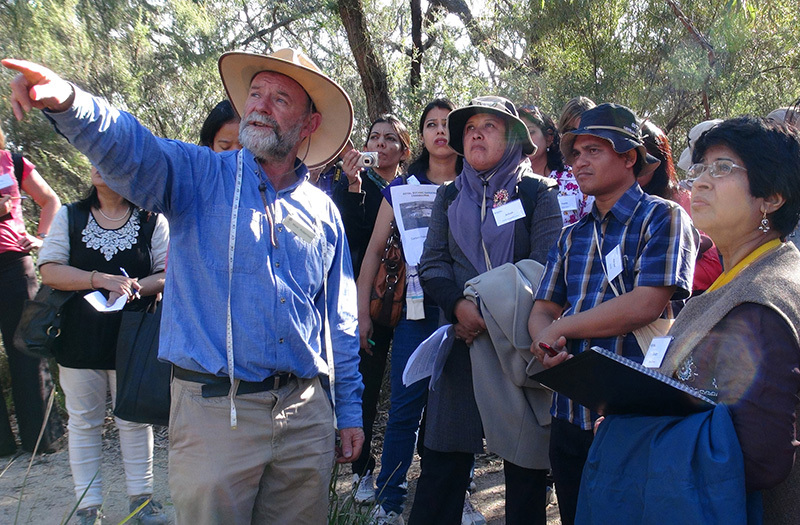 Carbon futures is an experiential learning program delivered as an excursion through the botanical gardens network in Australia. The Carbon futures program takes students out of the classroom and into the bush to gain a practical look at carbon in the environment. Students will learn about how carbon works in different natural systems through ocean acidification experiments and measuring carbon in trees. Students will also discover the many other services a forest has to offer people anywhere on the planet. Specific elements of the Carbon futures field trip are embedded within the lessons of the WithOnePlanet Module 1: Carbon units. 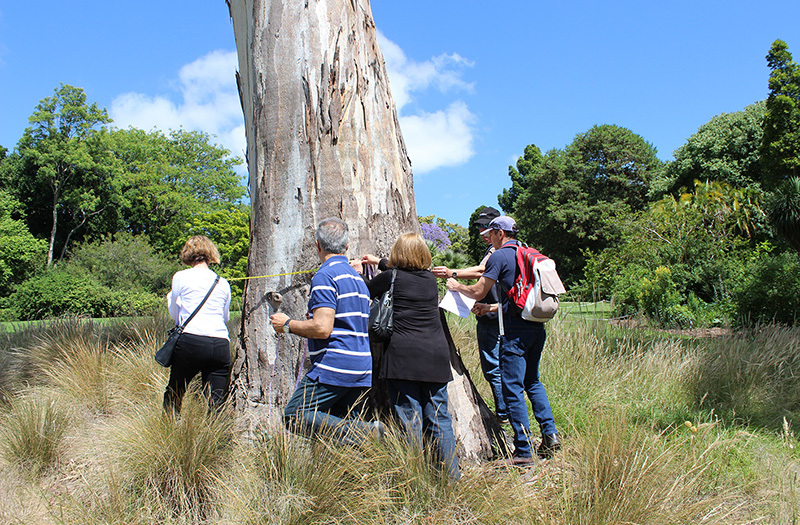 Carbon futures was developed in association with the Royal Botanic Gardens, Melbourne and is available as a field trip to the botanic gardens throughout Australia. Staff at the Royal Botanic Gardens Melbourne Education Unit are happy to talk about the program and where it can be delivered. WithOnePlanet also explores the relationship between Australia and Timor Leste and the contrast of lifestyles between one of Asia Pacific’s more affluent and technologically advanced societies and one of the region’s poorest and least technologically advanced societies. The contrast is stark, not only from a socio-economic view, but also from a carbon emissions view. Australia has one of the highest emissions per capita, while Timor has one of the lowest. WithOnePlanet provides opportunities for Australian schools to connect and engage with school communities in Timor Leste and build mutually beneficial two-way relationships. This engagement can be achieved through the use of communications technology and/or through student/teacher travel programs where participants stay in Timor Leste villages and explore local culture. Fully organised tours can be arranged to suit school requirements. In primary and lower secondary school years, schools can connect through technology such as e-books and e-pals and through cultural story sharing activities. In upper secondary school, connections can be made using technology and also through the WithOnePlanet exchange programs. WithOnePlanet’s technology partner, InfoTimor, a social enterprise run for and by Timorese, is establishing Village Learning Centres across Timor Leste. These centres provide access to a range of technology including computers, tablets, printers and internet connectivity. Individual access to the internet outside Dili is limited and expensive. 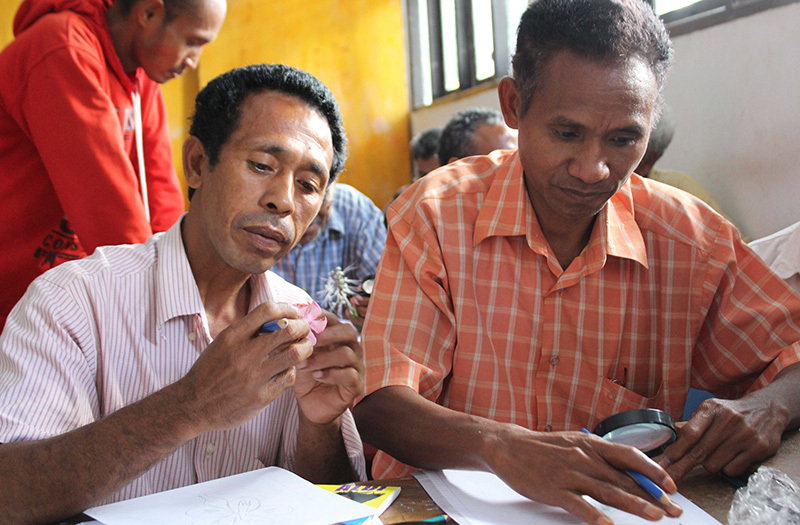 InfoTimor is providing ICT services that would otherwise not be available in many villages across Timor Leste. Through the Village Learning Centres, students in Australia will be able to interact with students from subsistence communities in Timor Leste using internet based communication tools like Skype, Viber and Google Hangouts. Australian schools will also be able to assist with the maintenance of the Village Learning Centres and contribute ‘end of life’ technology like tablets and smart phones. Livelihood training is important in any community, whether that be in the developed world or the developing world. Livelihood training links technical and further educational support with the encouragement of the development of skills used in the workplace or to enhance subsistence living. WithOnePlanet, in partnership with the Australian Agroforestry Foundation, has delivered the Master Tree Growers program in Baguia, Timor Leste. The Master Tree Growers program is an intensive education and training course that provides participants with the skills and knowledge to maintain forestry initiatives, whether that be for individual land holders or community forestry initiatives like the WithOneSeed community forestry program. The Master Tree Growers program is internationally recognised and has been delivered in a number of African countries and also in other countries in the Asia-Pacific region. WithOnePlanet, in partnership with Permatil, a Timor Leste based NGO promoting permaculture in Timor Leste, is currently writing the Permaculture Guidebook for tropical countries. This is a rewriting and updating of a permaculture book produced in 2008 focused on Timor Leste. The new guidebook will be enhanced through the use of information communication technology to enable audio and video as methods of delivery. Information technology will also be used to improve delivery of the book in electronic format. These initiatives not only work to make environments sustainable, to end poverty and hunger, to build knowledge and to create regional partnerships, but also deliver skills that can be transferred within and across communities.